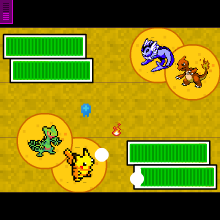 The new HP Bar with proper meter like actual Pokemon Games. One more beta test is coming that might give new light to the already amazing battle system. You will be able to choose your moves. Check Pokemon Legends by Username542, that's the short of thing it will be like. But any Pokemon used in the game. Thank you for your support.